The stranger came to me one evening in the form of an old man, bent and grey, who weaved towards where I sat playing a piano in a hotel lobby,a glass of red wine precariously perched between the thumb and the forefinger of his left hand. Once at the piano he slipped into the easy chair beside the instrument, sipped slowly from his wine glass and listened closely with his eyelids shut as I played. Read the full article on the management-issues website. 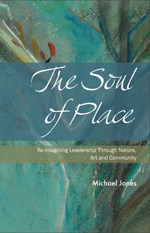 This entry was posted in Soul of Place and tagged gifts, humanity, patterns of life. Bookmark the permalink.